20 years or so back, beard grooming and beard care wasn't a thing. I mean most of us just didn't care about our beards. In fact. most of us didn't even think about it at the time. I mean you wash your hair, and brush your teeth and wash your face, but the beard......!? I remember being a young lad and seeing my dad with a massive beard. He let it grow wild, I mean he would occasionally stick a comb in there and try an hack away at it from time to time, but all in all, he just let his beard grow and sat back. But looking back at family photos now, I can see that almost every man in my family had horrible fuzzy, dry looking beards. I mean that was just how it was done back then. Not now! Beard care and maintenance is massively important! These days things are different. I mean I wouldn't walk outside without putting in some beard oil in my beard. You should see my dad now. He's got more beard care products than me! 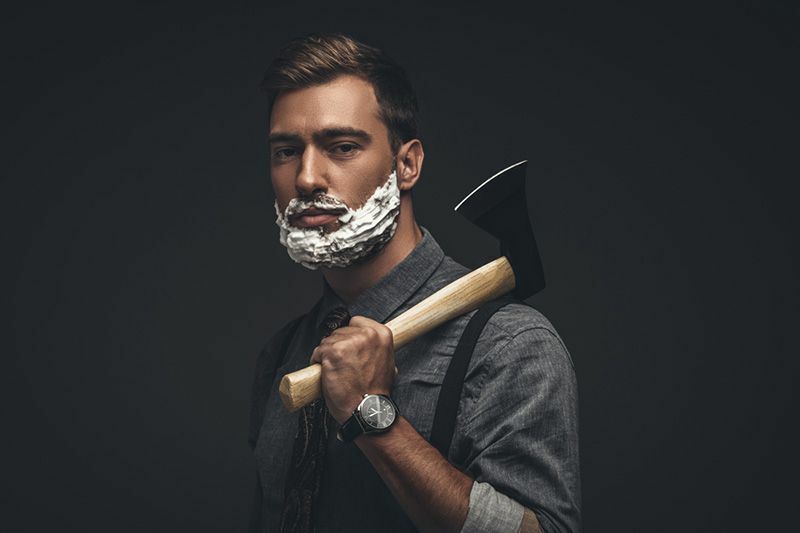 The beard care and male grooming market is booming. It's massive and it's growing fast. Us grizzly lads are spending a s##t load of cash on making our moustaches and beards look awesome. 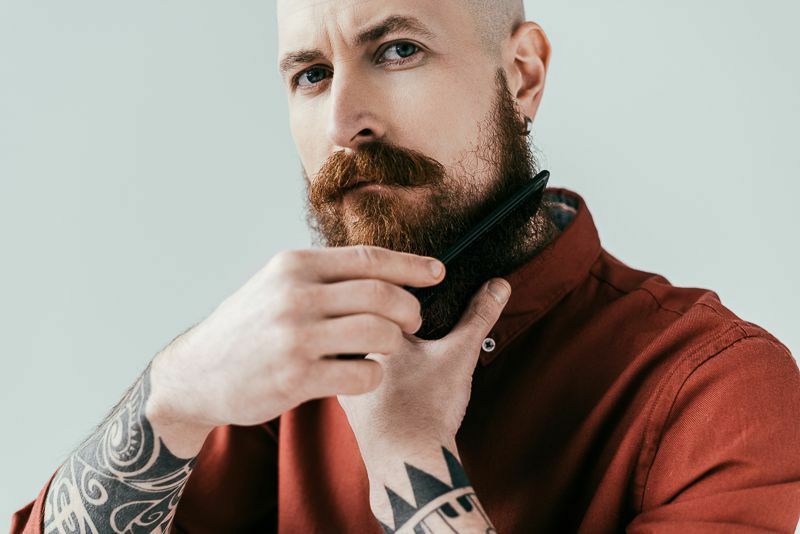 As this market for male grooming is growing, so is the amount of products and 'so-called' experts telling you the best ways to groom and care for your beard. No, I'm not a beard or moustache expert, but I've learnt a lot about this stuff over the last few years, so in this article, I'm going to show you my top 16 Beard Care and Maintenance Tips to help you look your best. This is probably the most important tip, which I feel every serious beard growing man needs in their wash bag. Having and using beard oil every day will help you in so many ways. Beard oil is made up of carrier oils and essential oils that are blended together to create a product that is perfect for your beard. Using a decent natural beard oil will help you to keep your beard fully nourished and moisturised. Conditioning your beard with oil twice a day will help you to prevent dry skin and even help prevent beard dandruff. Also, it gives you that beard shine for champions and most of them smell good too. Just like your head hair, brushing your beard hair is very important. Firstly, brushing it regularly will shop your beard from knotting up and damaging your hair. 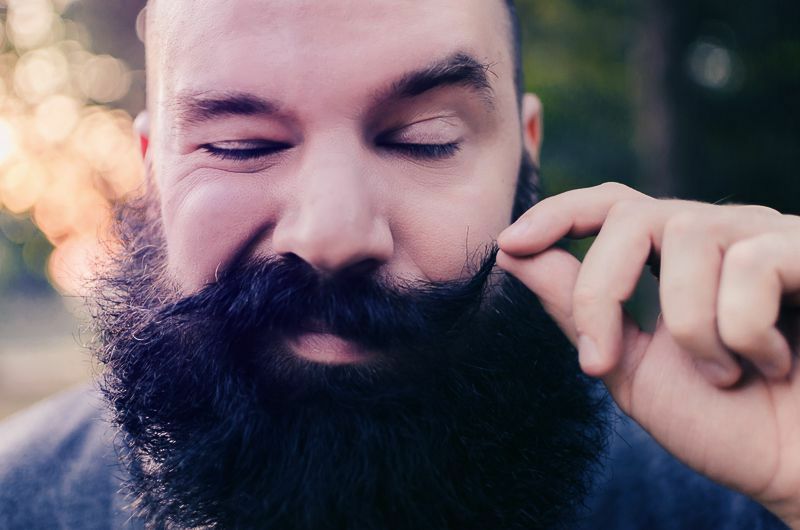 If you're using beard oil, then bushing regularly will help ensure that the oil has been brushed throughout your beard and reached all of your beard hair. It also helps beard oil from building up on your skin which can cause irritation. Don't forget the moustache. Get yourself a moustache comb and keep it in your pocket. You might get mixed views on washing your beard. Some might say don't wash it EVER! Some will say wash it every day and some say to wash it once a week. There isn't a right answer here. It all really depends on your beard, how much natural oil your skin produces, how much food you shove in your face etc. My tip for you is to make sure you get a decent all natural beard soap. Wheather you need to wash it once a week or every other day, using a natural beard some with some good quality carrier oils will help you to restore the oils in your beard. I personally use a natural beard soap twice a week. Works really well for me. Never blow dry when your beard is dry. Always ensure it's damp. You don't want it dripping wet, but ensure there is enough moisture in your beard before you start. Ensure that you work in your beard oil into your damp beard before you start to blow dry. Don't blow dry every day. I know this can be hard for some people, but try not to do this. If you use your beard oil and brush and comb regularly then you can still have a sharp looking beard. Don't buy cheap. Get a decent blow dryer with different temperature settings. A cold air mode is also very useful for looking in hairs. Beard balm and beard oil are very similar, but if you want that extra hold, then I would recommend using some beard balm when you're styling. In my opinion, beard balm should be used in conjunction with beard oil. The reason being is that using beard balm every day can be heavy on your beard. 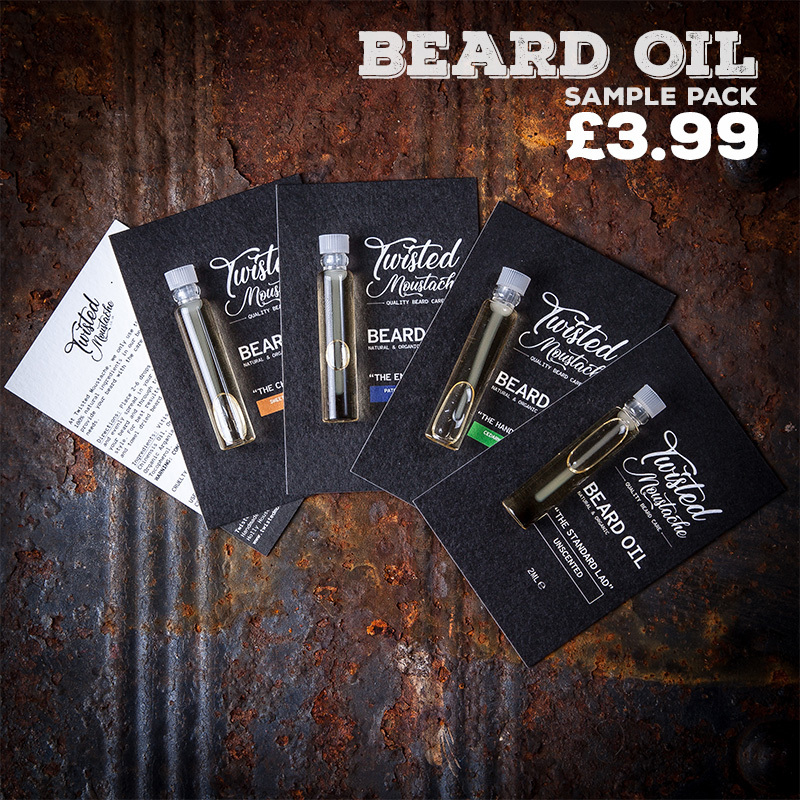 Also, beard oils tend to have more than one carrier oil mixed, which are great for your hair and skin. Beard balm tend to only use one carrier oil. Most guys don't have a clue on how to trim their beard and moustache. There are plenty of guides available for teaching you how to trim your beard. Trimming your moustache or beard is really important as it helps it to look neat, but also helps to keep your beard looking healthy and free from split ends. I know at first it can be scary and you probably ask yourself questions like "What if I take too much off?" or "What if the Mrs come through the door, knocks my hand and I trim a massive chunk out of my beard?". 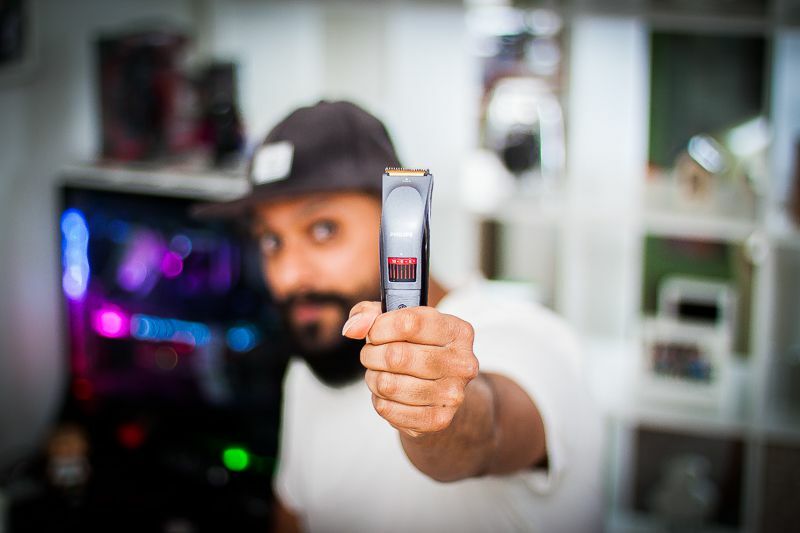 Watch some tutorial videos, or read an article on how to trim your beard. The most important thing is to take your time. If you're not feeling confident, then go to your local barber and get them to trim it for you. There are so many styles to choose from. A lot of the decision making in this area might be down to genetics. Not everyone can grow big awesome Viking beards. Try to pick a style that suits your lifestyle and face shape. Not everyone's hair grows the same way. Training your beard and moustache is a step in beard care that a lot of lads forget about. I've got very wavy hair, so I'm constantly brushing my hair and training it to grow in a specific direction. This all goes back to choosing your beard and moustache style. If you're looking for a specific style, then training your hair is very important. 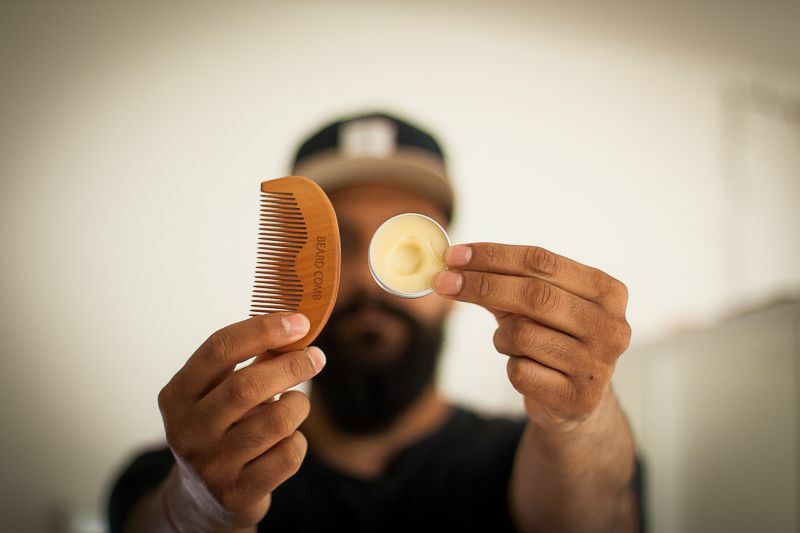 Use beard balm, oils and a comb to groom your beard into what you want. If you're growing a handlebar moustache, then training it is a key part of the growing process. Getting yourself a moustache comb to carry around with you is a great idea. I always find myself combing my moustache in meetings at work. It goes without saying that a healthy diet means a healthy beard. Eating a healthy well-balanced diet will do wonders for your beard care. If you want your beard to be fit and healthy, then start downing your 5-a-day. Better lifestyle choices, good diet and plenty of exercise can improve things like blood circulation, but more importantly, these things can help boost testosterone levels. Yep, boosting testosterone will help with your beard and moustache growth. We're all creatures of habit. We sometimes need to have routines to help us through life. I'm not saying this is 100% a good thing. It's always a good idea to be spontaneous in life, but when it comes to beard care, then I would recommend a routine that you can stick to. Plan out when you're going to oil your beard, how often you're going to do it. Plan your beard trims. If you're going to barber, book your appointment in advance. Having the right tools for the job is everything. This goes for anything in life. You're never going to see Roger Federer playing the Wimbledon final with an old wooden racket. The reason? Well, it's not the correct tool for the job. It's the same for the tools when you're doing beard maintenance. You can't trim your beard with an old cheap trimmer that's on its last legs. Get yourself the best tools that you can afford. If you can't afford to get something, then wait until you can. My advice is not to pop down to Argos and buy the cheapest trimmer in the sale. It's worth shouting this out separately here. Most men don't have a clue how to trim their beard and check line properly. This has to be one of the biggest beginner mistakes. Like I mentioned above, if you're not confident about getting this right, then pop down to your local barber and get them to fix it for you. If you're interested in learning more about beard trimming techniques, then check out my article on how to properly trim your beard. This is a lesson that I learnt the hard way, but again, people are different. I was using any product that I could get hold of, and I was having problems with my skin. I generally have sensitive skin, but products with un-natural chemicals is not a good thing. The biggest thing to watch out for is beard oil scents. A lot of beard care companies use a blend of essential oils with fragrance oils. Fragrance oils are is synthetic! Synthetic Fragrance oils mainly attempt to try and duplicate the smell of a specific plant. These are primarily made from petrochemicals. My advice is to stay away from these and go for products that are 100% natural, or even better, Go for a natural and organic beard oil. It's the old boring saying that you hear every fitness freak talk about, but it's important. But, drinking plenty of water will help keep your skin and hair healthy. Even if you're not a fitness freak, you should always try to have at least 2 litres of water a day. As well as training, wax can help keep your moustache from getting in the way of your lips. I would try and get something natural. A lot of companies tend to use petroleum jelly, which isn't natural. Try and look for companies that are using more natural ingredients such as lanolin, which is the oil extracted from sheep's wool. If you're looking for something vegan-friendly, then try to source moustache wax that contains something like Carnauba wax which is the wax from the leaves of the Palm tree. Last but not least, be patient. If you've read any of my other articles, you would know that I harp on about this all the frickin' time! Whenever you're growing anything, you need to have patience. Nothing is going to happen overnight. Everyone is different, so just because you're mates beard is growing faster than Pinocchio's nose, doesn't mean that you'll have a big badass beard in 2 weeks. So I talked about quite a few things in this article about beard care and maintenance. We explored the different ways you should look after your beard, what tools you should be using and how a healthy lifestyle can do great things for your beard. We even talked about the benefits of using natural ingredients and some key takeaways, like being patient and the importance of having a good grooming routine. I hope you got something useful here, drop me a comment and let me know what you think.